In medium bowl, beat egg. Add all remaining patty ingredients; mix well. Shape mixture into 4 (3/4-inch-thick) patties. Heat 12-inch nonstick skillet over medium-high heat until hot. Add patties; cook 6 to 8 minutes or until golden brown on both sides. In small bowl, combine all sauce ingredients; mix well. 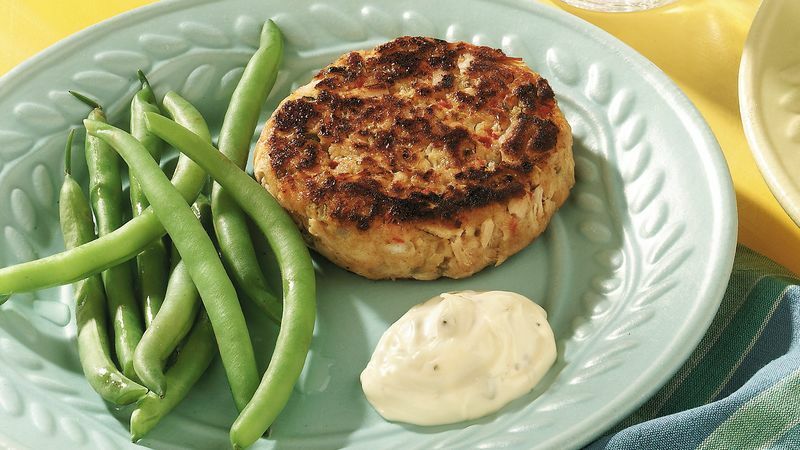 Serve tuna patties with sauce and, if desired, additional pickle relish. Pressed for time? Just substitute prepared tartar sauce for the sauce in the recipe. Look for it in jars near the other condiments at the grocery store.